November | 2011 | Htbaa blogs? I’m really liking GNOME 3 with the default GNOME Shell. I first tried it with Fedora 16, but that wasn’t a huge success. Now I’m running it under Ubuntu 11.10 and so far it’s been very pleasant. What did bug me though was that workspaces seem to only affect my primary screen. I use a dual screen setup and especially when doing work related stuff I’d like to have 1 workspace with all work related applications in it, and another one with my own non-work related stuff. But by default the workspaces are only applied to the primary screen. Turns out that this is easy to change though. Easiest way to do it is to install gconf-editor. Run it and then navigate towards /desktop/gnome/shell/windows. Find the option workspaces_only_on_primary and uncheck the box to disable it. Now close gconf-editor and the next time you’ll login again the changes will be applied. One thing that doesn’t seem to change is when clicking on a workspace the secondary screen will not show the applications located at it. However, as soon as you put focus on an application the screen does get updated. 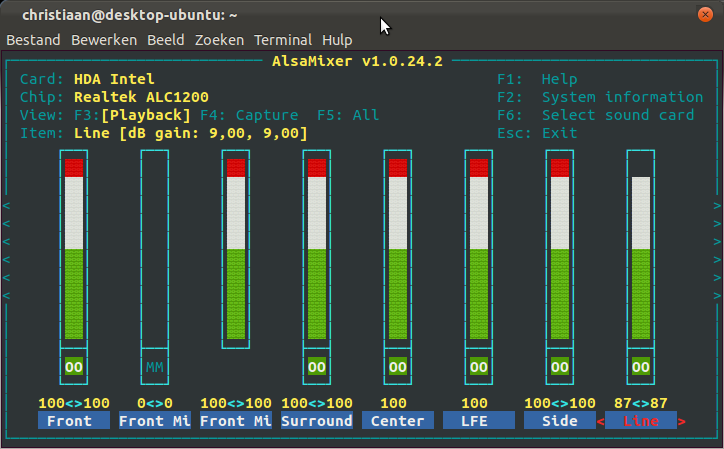 If you want to enable line-in playback in Ubuntu 11.10 (and previous versions as well) you’ve got to change a setting in alsamixer. By default line-in playback is muted so you won’t hear whatever device is connected on it. In my case it’s my Xbox 360. A nice and free open source VPN Client for Linux (and Windows) is Shrew Soft VPN Client. It supports IPSec which is just what I needed. 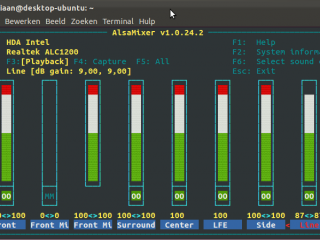 With Ubuntu you can easily install it with sudo apt-get install ike. But with Ubuntu 11.10 (Xubuntu as well, same packages of course) installing ike this way won’t give you a working VPN client. It simply won’t open up a tunnel. On Fedora 16 this worked fine for me, but Fedora 16 is too unstable for my liking. So to get ike working on Ubuntu you should download the source code from their website. I downloaded the 2.2.0-beta2 version, compiled and installed it and am running it without any issues. To compile ike yourself execute the following commands from a terminal in the directory with the contents of the archive. After you’ve installed ike all you need to do is a sudo iked (or create a startup/init.d script for it so it starts at boot time). To launch the client simply execute qikea (GUI). Just now I’ve installed Fedora 16 on my desktop. Normally I use Ubuntu (or Xubuntu rather). Because I’m a developer I need to have several build tools installed for compiling. On Ubuntu one of the first things I always do is a sudo apt-get install build-essential. On Fedora, this is a little different. First of all, you’ve got to use the yum command line application. After some searching I found the following equivalent for build-essential.